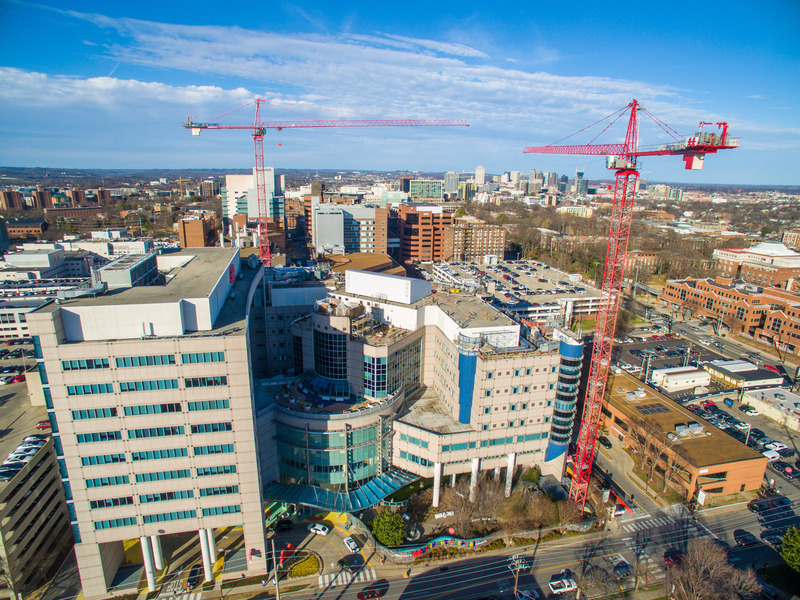 Monroe Carell Jr. Children’s Hospital at Vanderbilt has surpassed its fundraising goal of $40 million in support of a four-floor building expansion that will help advance the size and scope of the hospital’s specialized pediatric health care programs. The Growing to New Heights Campaign, an ambitious fundraising effort launched in October 2014, has garnered generous support from numerous donors and organizations, enabling the hospital to meet its fundraising goal under the anticipated time frame. Construction is currently underway on the $100 million construction project, which will add 160,000 square feet of additional space atop the hospital’s existing structure, bringing Children’s Hospital’s total footprint to more than 1 million square feet. The additional space will be built over an approximately 30-month period to provide the necessary square footage to meet the future health care needs of the children and families from Tennessee, the surrounding region and across the nation. Along with Brown, co-chairs for the Growing to New Heights Campaign Cabinet included Kix Brooks, country music artist/entertainer; Rick Dreiling, former CEO of Dollar General Corp.; Steven Hostetter, CEO of TriStar Energy LLC; Bob Rolfe, CEO of Medical Reimbursements of America Inc.; and artist manager Clarence Spalding, a partner at Maverick. Every member of the Children’s Hospital Board contributed to support the Growing to New Heights Campaign. Families of patients and other individuals with longstanding roots in the community supported the campaign as well, including some who had contributed to the effort to build Children’s Hospital as a freestanding facility in 2004. The campaign also included a $3 million gift from the Country Music Association, as well as support from numerous partners from the entertainment industry. Longtime hospital partners who have given generously through the years also left their mark on the expansion campaign, including The Junior League of Nashville (JLN), Friends of Children’s Hospital, and the 13 local Children’s Miracle Network Hospitals partner businesses and organizations who together represent more than 650 locations across the region. The campaign also inspired more than 100 new community donors to show support to VUMC. “It is thrilling to see so many people come together in support of this great hospital,” said Luke Gregory, Chief Executive Officer of Children’s Hospital. In the late 90s, the late Ann and Monroe Carell Jr. kick-started the fundraising that led to building Middle Tennessee’s first and only freestanding children’s hospital. The hospital opened Feb. 8, 2004. Employing nearly 2,500 people, including 425 full-time physicians trained in more than 30 pediatric medical and surgical specialties, Children’s Hospital remains the region’s only comprehensive pediatric health care provider. As a nonprofit organization, the hospital cares for children from Tennessee and across the country regardless of their ability to pay. Each year, inpatient stays and surgical procedures have grown, remaining at near-capacity and exceeding all projections. In May 2012, a $30 million, 30,000-square-foot, 33-bed expansion was opened that created capacity for additional acute care, surgical and neonatal intensive care services. Currently, the hospital has 267 inpatient beds. Children’s Hospital has also been recognized for 10 consecutive years in U.S. News & World Report’s annual Best Children’s Hospital rankings. For 2016-2017, the hospital achieved a maximum of 10 out 10 nationally ranked pediatric specialties, with six of those specialties in the top 20. Children’s Hospital is the only American College of Surgeons-verified Level I pediatric trauma center within 150 miles and is the only children’s hospital in Tennessee to be named a Leapfrog Top Hospital for 2016.